Today after leaving a meeting I was approached by an investor that asked where I found my leads. I answered by giving him a few examples of where I received my most recent listings. By seeing the look on his face, I could tell that he didn’t like my response. I think he believed I was holding out and not wanting to share or there was something special I was doing which was/is not the case. Like this gentleman and probably like many of you, I once too believed there was a magic bullet/formula to successfully finding a lead in real estate or anything. After speaking with many “experts” I found out that there is no such thing as a magic bullet. In fact, the only thing that really separated a bad or good investor from a great one was/is consistency. The better question is, what should I do on a consistent basis to make me successful in real estate investing or anything else? Once you know what to do consistently, and you actually do it, you will be successful. Once you know what to do consistently, the next step is to figure out how to tie all these activities and procedures together into a system. As time passes you will learn that doing some activities produce better results than other activities. By tracking your progress you can easily eliminate the activities that produce limited results and grow the activities or expand on the activities that produce better results. Over time you begin to find the winning consistent activities in your field while simultaneously creating a system. Having a system that you can train anyone to duplicate will then grow into a business. At the end of the day that is usually what we are all looking to do. In the end, if you want to be successful at anything you must start by doing the right activities consistently. This will inevitably establish a system. By sharing that system with others, and creating win-win situations, your ever evolving system will blossom into a business. 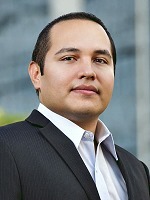 Michael Vazquez has been acquiring and selling investment properties since 2004. For years he provided investors with amazing wholesale deals that made them loyal investors. Eventually, Michael began investing in those same deals and partnered with his long time investors. In 2012, Michael founded Venture Realty, a real estate brokerage that caters to everyone, especially investors, builders and developers. He now mentors, consults and joint ventures with fellow real estate investors, leads a knowledgeable and talented acquisitions team that provides him and his investors with great deals month after month, and teaches every day people how to invest their 401K, self-directed IRA, CD, etc. in real estate without lifting a finger. When it comes to investing in real estate he has done much more than many twice his age.